I only recently came across the fixltx2e package. Given that it patches aspects of LaTeX, my spidey-sense begins to tingle out of a concern for possible package conflicts. I'd originally thought that there was little documentation, as none is linked on the CTAN Catalogue page that I used as the package link. 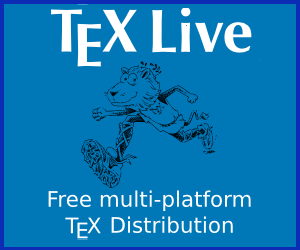 In light of the answer, I thought to run texdoc fixltx2e1 in the terminal. It turns out there is an extensive amount of documentation available, just not where I am used to looking for a new package. memoir and subfig have special compatibility code to deal with fixltx2e, so it seems to be possible to have conflicts, but I have not had to deal with any. The documentation for fixltx2e says only to load it in the preamble. It sounds like it doesn't matter where in the preamble you load it. I tend to do it right after the \documentclass. Load the amsthm package before fixltx2e. I'm not aware of any conflicts, but that's not saying much... I don't think it really matters when in the preamble you load it. Not the answer you're looking for? Browse other questions tagged packages best-practices incompatibility or ask your own question. Package options and \RequirePackage: order of commands and option conflicts? What to do when a package conflicts with a development version of another one?